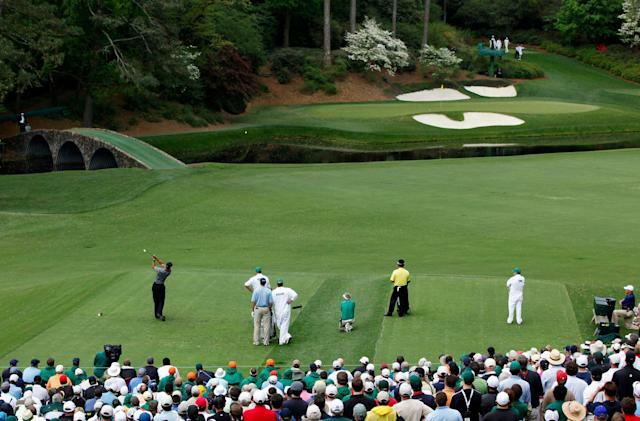 What's it like to play Augusta National? AUGUSTA, Ga. — So it turns out that by the numbers, I’m about as good at Augusta National as Tiger Woods and Brooks Koepka put together. How about that? Exactly 26 hours and 20 minutes after Woods teed off to start a round at the Masters that would end with his fifth green jacket, here I was, standing on the same tee, looking out over the sweeping expanse of the first hole. Off to my right stood Augusta National’s clubhouse and its looming, legendary great oak. To my left, the 18th green, surrounded yesterday by a gallery of 10,000 stacked 30 deep, now completely empty. Ahead, the iconic Masters scoreboard, workers pulling down the names and scores of the 87 players who’d spent the last week playing this course. Dude, do not [expletive] this up. And I began my backswing. 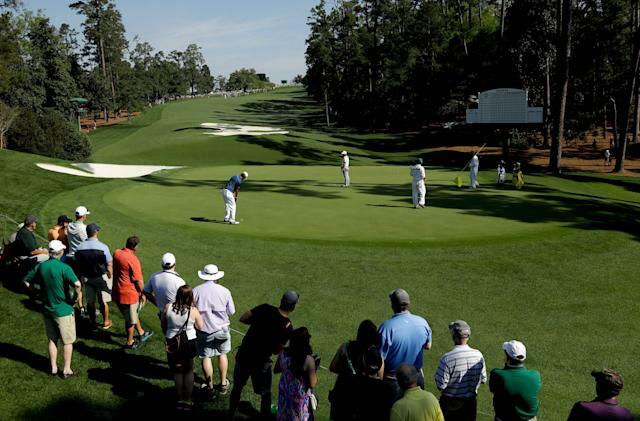 In one of the last great perks of being a member of the media, Augusta National offers a select lucky few the opportunity to play the course on the Monday after the Masters. Winners are determined by lottery, and this year, after nearly a decade of trying, my number came up. I’m not going to go through the whole humblebrag routine of walking you through my round, the clubhouse experience, the Southern-charm amenities, or any of that. For one thing, you folks hate the media enough already. For another, the definitive I-played-Augusta article was written last year by my friend and Augusta housemate Steve Politi. 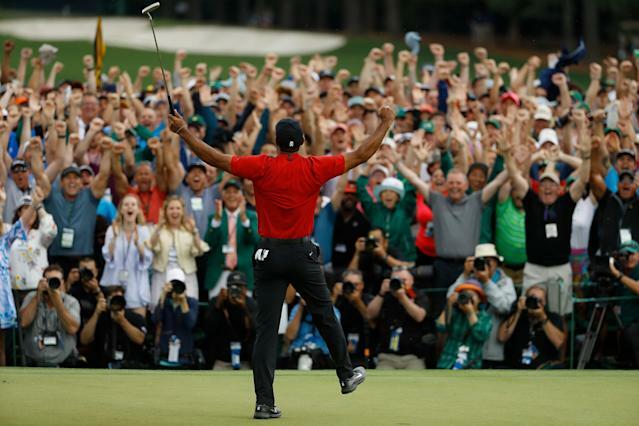 He struck the perfect balance of reverence and what-am-I-doing-here, and I’d recommend you check that out for what it’s like behind the hedges at Augusta National. Me, I’m getting philosophical. And that’s not hard to do when you’re walking the fairways of a silent, patron-free Augusta. My friends, out there on that vast green cathedral, you’ve got nothing to do but think. Cell phones are frowned on, so you’ve got five-plus hours cut off from civilization, from work, from Twitter outrage, from everything that spews out of your phone and jacks your blood pressure. Here’s my little Augusta secret, don’t tell anyone: I entered the media lottery every year, but I was always terrified of winning it. I’m not a great golfer; I average in the 100 range. (Those who can’t do, teach, and those who can’t teach, write about it.) I’ve got no problem writing something that’ll be read and critiqued by a million people, but the idea of taking a golf swing on a legendary course with a half-dozen knowing souls watching and judging … well, that just made me shrivel a bit. But it was more than just simple embarrassment that made my throat tighten every time they posted the list of winners in the media center every Masters Saturday morning. It was the thought that it’d be disrespectful for me to win. Disrespectful to Augusta, to start. Regardless of your feelings about the place and its complicated and at times problematic history, only the naive or ignorant would show up unprepared or mocking. You don’t track mud into someone’s house, you don’t burp in church. Respect’s in short supply in 2019, but that doesn’t mean it’s worthless. Disrespectful to my dad, who spent so many years teaching me the nuances of a golf course: how to not walk in someone’s line, how to play ready golf, how to swing slower to hit it farther — all of these lessons that it took me years to realize weren’t really about golf at all. And most importantly, disrespectful to myself — to the fact that while I’m a terrible golfer, every so often I show signs of being not-terrible, and maybe if I’d spent a bit more time on the range or out on the links — and, yeah, this isn’t really about golf either — maybe I wouldn’t be a jittery mess driving up Magnolia Lane. Like I said: there’s a lot of time to think things out when you’re walking down to Amen Corner. Anyway, so, I won the lottery, which is like having a fear of heights and getting shoved off the high dive anyway. No more time for anxious anticipation when you’re already falling. My two Yahoo Sports colleagues at the Masters with me, Jay Hart and Dan Wetzel, are exactly the kinds of guys you want on your side — happy for you but merciless in their jabbing. “I think we can agree on one thing: [expletive] Busbee,” Wetzel said Saturday. And the more nervous I got, the more they dug in hard, recommending that I show up in jean shorts and a Dale Earnhardt t-shirt with the sleeves cut off, toting a styrofoam beer cooler and demanding a golf cart, NOW. Enjoy every swing. That’s exactly it. Which brings us back to the tee at No. 1. When we left, I was in my backswing. The ball was teed up so high I was practically swinging level; no way I was going to gouge the turf on my first drive at Augusta. Down below, the sign workers merrily peeled names off the scoreboard, blissfully unaware that there was a not-insignificant chance that they’d take a Titleist to the dome in the next few seconds. I swung. I made contact. And I striped my first-ever shot at Augusta National right down the fairway, left side, right to the top of the hill. Enjoy every swing. And when the first one’s that perfect, everything else is gravy. Friends, I am happy to report that I got a great deal of enjoyment out of Augusta National. One hundred and seventeen doses of enjoyment, to be exact, including a few less-than-fun lumberjack swings I used while flying bunker to bunker at 16. I know I said I wouldn’t humblebrag, and I’m not. That’s straight-up uncut bragging there, folks. You’ve heard how the course is steeper than it looks on TV, and that’s true. But here’s the truth: I didn’t feel any of the hills as I walked — well, floated — up them. Five hours went by in a blur, and before we knew it, we were on the final green. We were standing just a few feet away from where Tiger had embraced his son the day before, and his father 22 years before. We were just up the hill from where I’d given my mom and dad a hug five days earlier when they visited for a round. The circularity of it all — the permanence of Augusta, even as the world changes around it — wasn’t lost on me. Friends, I wish I could take every one of you with me back out onto this course, but I can’t. First off, I’m not eligible to win the lottery for another seven years, and second, I’m not sure I could fit all of you in my trunk. So I will leave you with this. 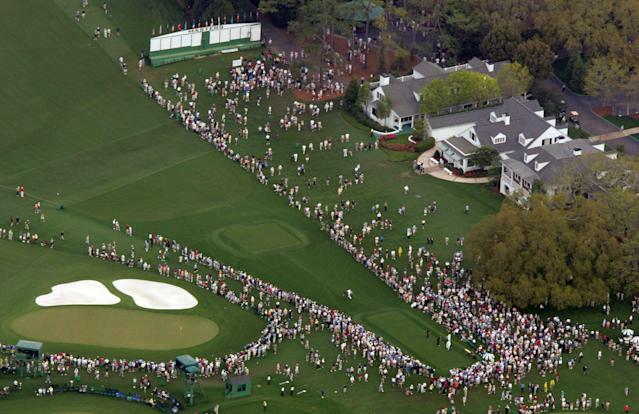 Places like Augusta will be around for a long, long time. But we might not be. We’ve all got an Augusta lurking in the back of our minds, something we haven’t done, something we’ve been scared to attempt. Maybe it’s not playing a golf course — maybe it’s singing in public, or cooking for friends, or writing that novel. But the fear paralyzes us. We dodge, we avoid, we find excuses not to do what we ought to be doing. And once we start it, it’s almost never as bad as we fear … and sometimes, it can be much better. Sometimes, it can even be transcendent. Find your Augusta. Tee up high. Take a deep breath. And enjoy every swing.